Nevertheless, without them even knowing it, they have made my dream possible. On numerous trips to El Pilon waterfalls, about 45 minutes outside of Trinidad, we have managed to travel by nearly every method possible; motorbike with side car, you can picture me in the side car with my bright red helmet. The Polski, which is like a tardis and fits the whole family. The back of a lorry, the motorbike was available but I couldn’t resist hitching a ride back to town with the locals. And finally by tractor, ‘lo que falta’, what is missing is horse-back riding, maybe next time, just need to find a man with a horse! Our journey by tractor is the most impressive yet, we set off early morning with our gasoline, packed lunch and drinks and walked to an agreed meeting point. From here we jumped on our chariot and went in search of other family members, waving at people on the street as we pass by, holding on tight for our lives as we bump up and down on the cobbled streets. Once we were all fully loaded up, at least 10 of us in the chariot, but still plenty of space to pick up a hitch-hiker or 2, we start our journey through the beautiful countryside towards la Sierra del Escambray mountains, stopping to buy some ‘ciruelas’ or ‘plums’ at a ‘campesino’ house, not quite like the ones I am used to back in the UK, small green, some with a bitter taste and others more ripened, quite sweet. After about a 45 minute crazy / bumpy ride standing in our chariot with the sun pouring down on us, hands stiff from holding tight to our chariot, we set off for a 30 minute walk through the shady mountains to reach our destination; El Pilon waterfalls. How inviting, we had it completely to ourselves, an unopened bottle of rum is thrown into the water, that way we have no choice but to jump into the water, find the bottle and enjoy! The water is clear and refreshing and perfect for a hot Sunday relaxing with the family. Without a care in the world we swim, joke, have a snooze, eat our supplies and return to meet our chariot at the pre-arranged time. Finally our chariot arrives and we return to Trinidad, exhausted, lazy and hungry so we go to a peso restaurant for dinner before heading home. It's all about Cuba!!!!! Nearly 4 years ago, I quit my job, left my life in London behind, flew to Cuba and I have never looked back. For 1 month I lived in Trinidad, Cuba with a family, took Spanish lessons and salsa classes and I had the most amazing experience. It truly is a magical place that has found it's way into my heart; full of charm, culture, struggle and romance. I grew very close to the family and I am now part of my Cuban family, 'la prima', 'the cousin', that keeps going back for more. They allowed me into their lives and shared the real Cuba with me. The trials & tribulations in a world where nothing is straightforward, logical or as it seems. As most people say 'no es facile', 'it's not easy', but if nothing else it is fascinating and even with it's difficulties, it is where I want to be. In the last 3 years I have lived and worked in Central America and I have just finished my contract as a Tour Leader. In this time I have taken every opportunity to return to my 'querida', 'beloved' Cuba. I have shared my experiences / stories of Cuba with almost every person that has crossed my path, I can't help it, Cuba has become part of me. 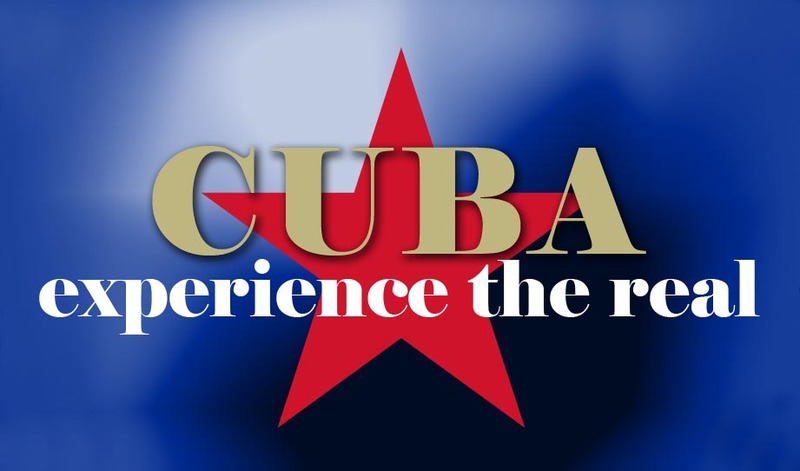 This has wet their appetite and most of them now want to have a Cuban experience of their own. Cuba has become my home away from home, it still continues to amaze me and together with my Cuban family I want to help others have a truly amazing experience, just like I did. This is just the beginning, I am not planning on becoming an 'all singing all dancing' web company offering language schools across the world, no, no, no. I am just going to start small, fairly informal, a family / locally run business, promoting Trinidad, Cuba. 'Soy Trinitaria', 'I am from Trinidad', with my local knowledge and contacts I will be providing a service to you guys out there interested in experiencing the real Cuba. I can help organise home stays, spanish lessons, salsa classes, music lessons, ceramic classes.....you tell me what you're interested in and I will see what I can do. Watch this space as the website unfolds.......but in the meantime feel free to contact me. I am currently in Costa Rica, due to visit Cuba on the 18th June.